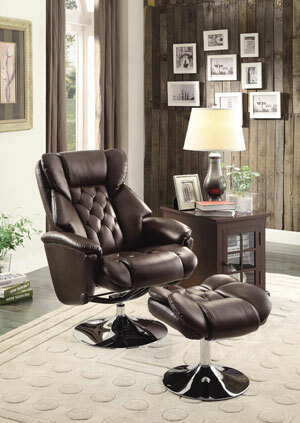 The Lane Furniture Chloe Recliner is one model that does not fit the typical recliner mold. 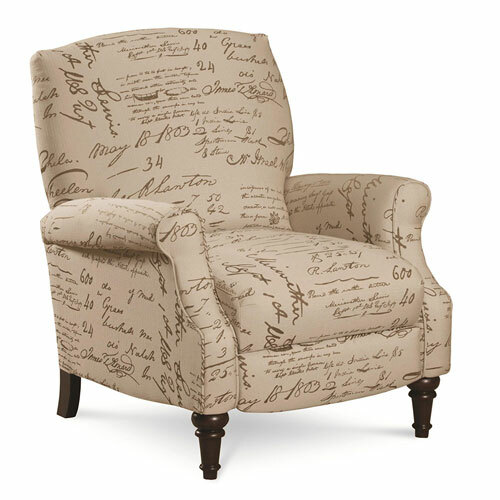 Lane recliner chairs have garnered a reputation of being high quality pieces of furniture. 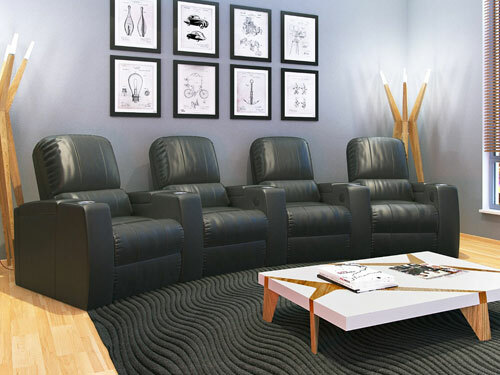 The brand’s recliners are extremely popular because of this, and also because of the wide variety of styles they manufacture. Many of Lane Furniture’s recliners are available in a slew of different upholstery options, including fabrics and top grain leather. This gives buyers the option of finding a style of chair they like and customizing the type of upholstery to best suit their home’s decor. Another differentiating factor for Lane recliner chairs is that many models do not look like typical recliners. In fact, many of the models don’t look like recliners at all. There are quite a few options that look like stylish, tradition accent chairs, but are actually recliners as well. Below we’ve put together a comparison table of some of the most popular Lane Furniture recliner chairs. Get an idea of the types of chairs available there, then continue reading for more details on a few of our favorite models. Hopefully the comparison table above proved helpful for getting a good idea of the different Lane recliner chairs available at different price points. Below we’ll go into detail on a few of our favorite chairs. 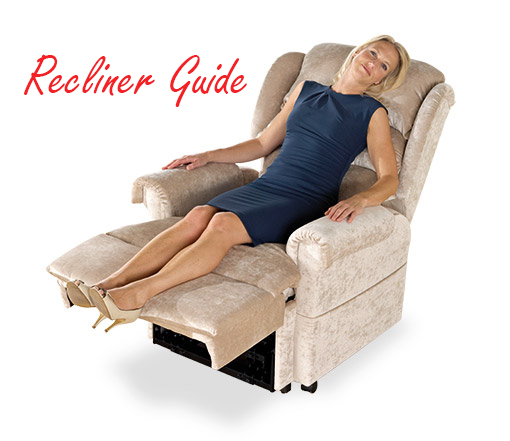 At first glance you would never know that the Lane Furniture Chloe Recliner is actually a recliner chair. Its footrest folds so compactly that when not being used the chair looks like a stylish accent chair. The design features stately rolled arms and a unique printed upholstery. It also has turned legs with a warm-walnut finish. 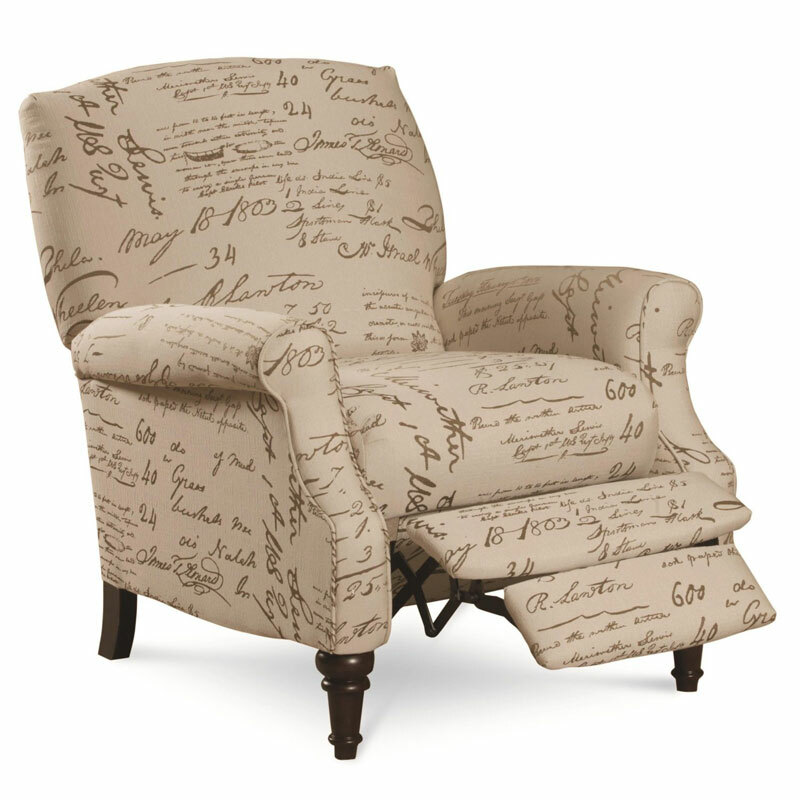 If you’re looking for a chic accent recliner chair, this model would definitely fit the bill. This model is a push back recliner, so there is no lever on the chair’s side. The upholstery is made of polyester and rayon, and comes in a caramel color. 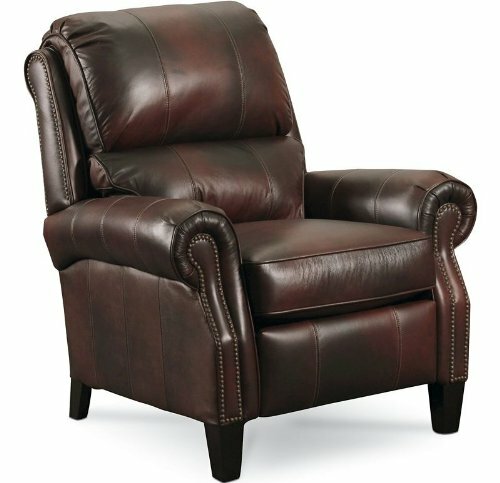 The Lane Furniture Hogan Recliner has earned a spot as one of our favorite Lane recliner chairs for several good reasons. All you have to do is take a look at this chair to see the first reason it’s a favorite is that it has fabulous aesthetics. The shape is a classic style, with an elegant high back and plush rolled arms. Beautiful chocolate top grain leather upholstery accented with brass studs tie together the timeless traditional look of this chair. Looks aside, this chair also boasts quality construction that is covered by warranty. The frame is all hardwood construction and has a lifetime warranty. The chair’s springs and recline mechanism also carry lifetime warranties. Other warranties for this chair include 5 years on the leather, 2 years on the padding and foam, plus a 1 year warranty on fabric and electrical components. Not surprisingly with these things in mind, the Lane Furniture Hogan chair has elicited high praise from reviewers. Overall reviewers are impressed with the chair’s quality, the ease of the recline mechanism, and the comfort level the chair provides. This chair measures 39 inches deep by 37 inches wide by 43 inches high. 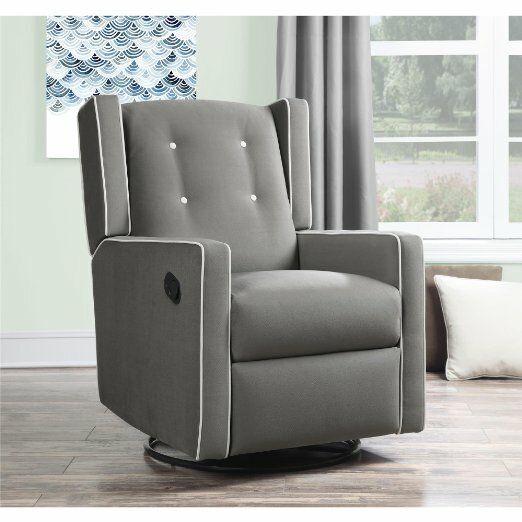 Unlike our other two favorite Lane recliner chairs, the Lane Furniture Lucas Recliner is a prototypical rocker recliner chair. This chair is large and in charge, measuring 40 inches deep by 43 inches wide by 43 inches high. The seat dimensions are 20 inches wide by 21 inches deep by 21 inches high. 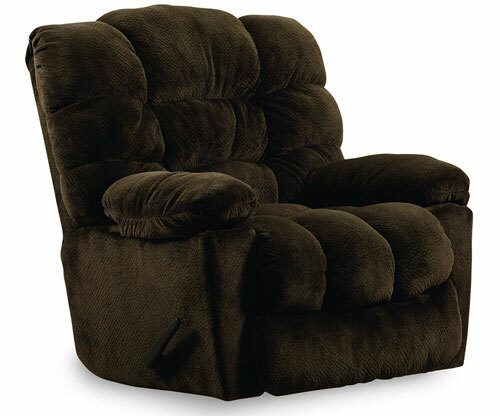 The arms and back of the recliner are thickly padded and covered in a soft chocolate brown fabric. There is a storage compartment in the right armrest with a cup holder as well. Needless to say Lane made this chair with lounging in mind. One thing to keep in mind is before this chair is broken in, the seat may feel stiff due to its overstuffed nature.